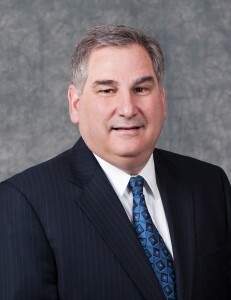 Ken Tabach has represented financial institutions and their holding companies in various capacities since 1988. Mr. Tabach’s areas of expertise are mutual to stock conversions, general corporate financings, mergers and acquisitions, proxy contests for the election of directors and general corporate and securities law. He has represented issuers in connection with public offering under the Securities Act of 1933 as well as private debt and equity offerings. He has also assisted community banks in obtaining financing under the U.S. Treasury’s Troubled Asset Relief Program and the Small Business Lending Fund. Prior to entering private practice, Mr. Tabach was a Senior Attorney-Adviser in the Division of Corporate Finance at the Securities and Exchange Commission in Washington D.C. for four years. Represented Alliance Bancorp, Inc. of Pennsylvania, Broomall, Pennsylvania, in its second step conversion from the two-tier mutual holding company structure to a fully stock holding company and the related public offering of $54.7 million of new common stock in January 2011. Represented HealthWarehouse.com., Inc., Florence, Kentucky, in defense of a hostile proxy contest for the election of directors at its 2013 annual meeting of stockholders. Represented ESB Financial Corporation, Ellwood City, Pennsylvania, in the design and implementation of a stock incentive plan in April 2012. Represented Emclaire Financial Corp, Emlenton, Pennsylvania, in connection with the private placement offering of $4.5 million of common stock in March 2011. Represented Continental Bank, Plymouth Meeting, Pennsylvania, in connection with its de novo bank formation and related $30 million private stock offering in September 2005 as well as the execution of a definitive agreement for the acquisition of Continental Bank by Bryn Mawr Bank Corporation in May 2014. Represented TD Banknorth, Inc., Portland , Maine, in connection with various acquisitions from 1995 until 2005 as well as the acquisition of TD Banknorth by the Toronto Dominion Bank in March 2005.